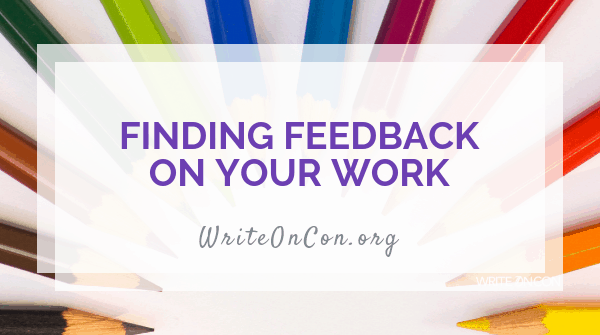 If you have been to WriteOnCon before, you know it’s an excellent place to find critique partners and get feedback on your work. And we’ve made it easier than ever to connect with other writers all year round with the launch of our new Critique Partner Match Service! In this blog post, you’ll find some additional resources, free and paid, to help you locate the support you need. First, figure out what you want. Do you want a critique partner, a group, a community, or professional level advice? In person or online? Don’t worry if you aren’t sure — you can always change your mind later, or use a combination of these choices. What is your budget? Time constraints? You want to make sure you have the time to provide helpful feedback if you go the critique-swapping route (many of us do, not only because it is a cost-effective route, but you build connections with other writers). Professional services can add up, so make sure you know what you can spend. What level are you at? If you are a beginner you probably don’t need to get agent feedback at this stage. For me, I use a mix from the sampling below that all have come highly recommended by fellow kidlit writers. Check out your local writers’ guild, writing organization, or SCBWI chapter. Or if you are feeling adventurous, why not start your own group! WriteOnCon’s very own Critique Partner Match Service! Designed like an online “dating” site for writers searching for critique partners, our growing database allows you to put as much detail as you’d like into your listing and browse others who might be a good match. Sub It Club Critique Partner Match on Facebook. Again, you can always start your own group using a private Facebook group or email to exchange work. I found my current critique partners via 12×12 then over time merged my partners into a critique group. Being part of a community makes the lonely writing adventure not so lonely! Outside of your local writing organizations, here are a few places to get feedback on your work, or just chat with fellow writers. 12×12 Challenge for picture book writers. Opens in January. Society of Children’s Book Writers and Illustrators, SCBWI with chapters all over the world. KidLit411 on Facebook is an invaluable group for finding contests, feedback, and camaraderie. Creativity Academy provides author support led by award-winning authors. This is more for the middle grade-and-up crowd. Depending on your location your local library or university may have a writer in residence program in which an established author provides free feedback on a short piece of writing. There are also many established authors that provide mentorship services, such as multi-genre kidlit author Marcie Colleen. Or why not apply for a mentorship such as the upcoming Writing with the Stars mentorship contest for picture book writers or Pitch Wars for middle grade and YA. Not to sound like a stuck track, but you can also turn to your local and national writers’ guild and organizations as some offer yearly mentorship opportunities. RateYourStory for picture books, short stories, and query letters. There are free and paid membership options. Author Cynthea Liu’s Red Light, Green Light critique contest and other free and paid critique services. Author Susanna Leonard Hill’s Would You Read It? to get free feedback on your pitches. There is much more out there in terms of finding feedback on your work, but I hope these suggestions get you started. The best part of being in a writing community is that you can always ask for suggestions if you aren’t sure about a certain service or looking for something specific. Before you go, where do you find feedback on your work? Stay tuned for my final post of 2018, in which I’ll blog about setting your one-word writing goal for 2019. These are all great resources and I’ve used many of them. Here are a couple more: public libraries and online forums. Forums like the SCBWI Blueboard, Absolute Write, and Write on Con’s own forum can be great places to find critique partners or post a picture book manuscript or segment of a longer work for critique. Some libraries host critique groups or other author events where authors can meet and get to know one another. Even if the library doesn’t host a program, the children’s librarian may be familiar with other authors in your area. It doesn’t hurt to ask.